To date, I’ve looked at 13 houses. Here’s my favorite so far. This house is the same age as the house we sold in Illinois. 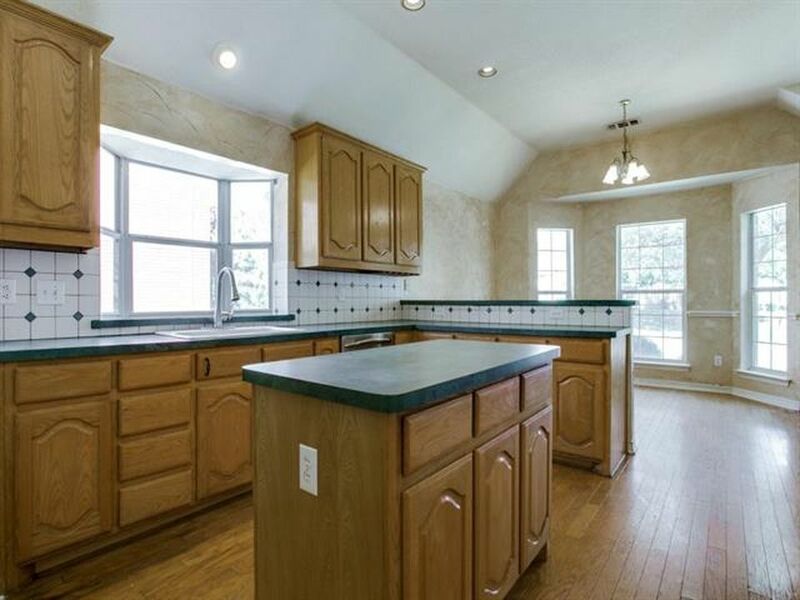 It’s a 4 bedroom 2 bath home and about 1300 square feet smaller than our house in Illinois, which is a good thing. This house needs to have some repair work done and definitely needs updating. It also doesn’t have much yard space, but a little space could be created with some work. Unless we can come up with $50,000 – $100,000 more, we’re probably not going to find ‘everything’ we desire. 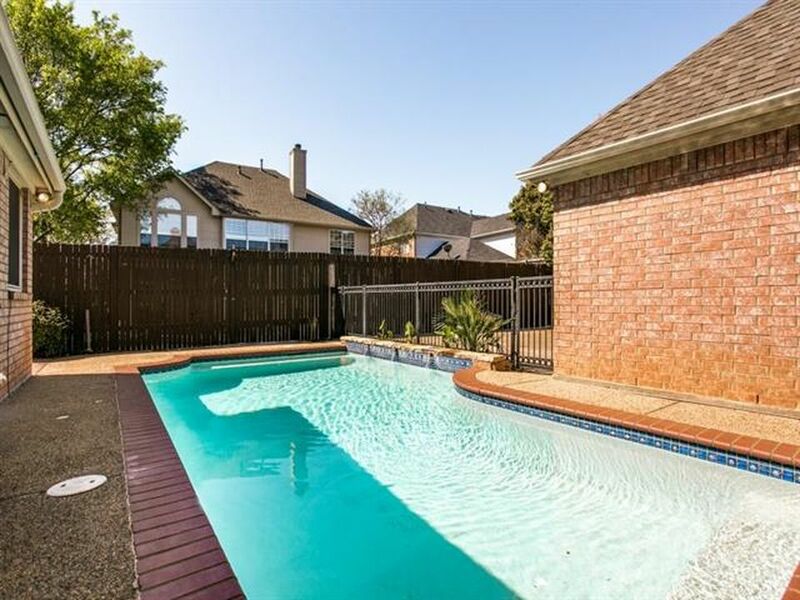 House-hunting in the DFW area is a tough gig, but we’re inching ever closer to our next home. 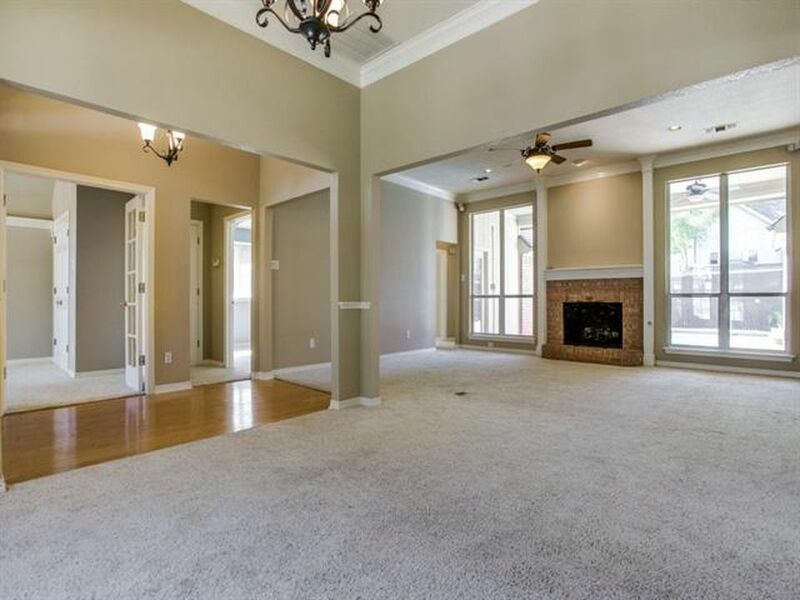 Love that open area in the house! 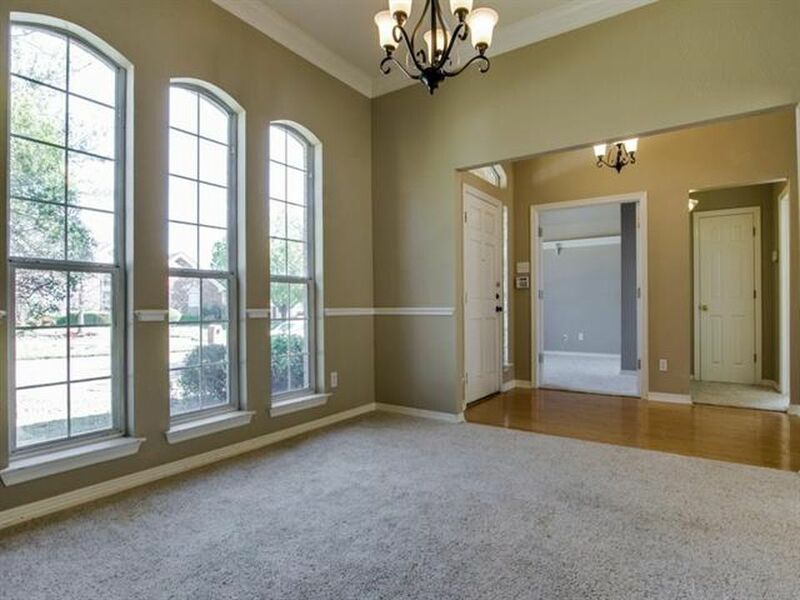 I have always liked an open floor plan and the two houses we’ve owned before had very wide doorways between a couple rooms, but not open into one giant room like this one. I like it! I could see us sitting by the pool!